Photo: Stephen Keenan, Winner of the Longest Drive; Sara Gilligan, QuickTec; Principal Sr. Gerarda Lawlor, Salerno Secondary School. Congratulations to our customers Salerno Secondary School Galway on the success of their annual fundraising golf competition in Galway Golf Club last Friday 16th September. 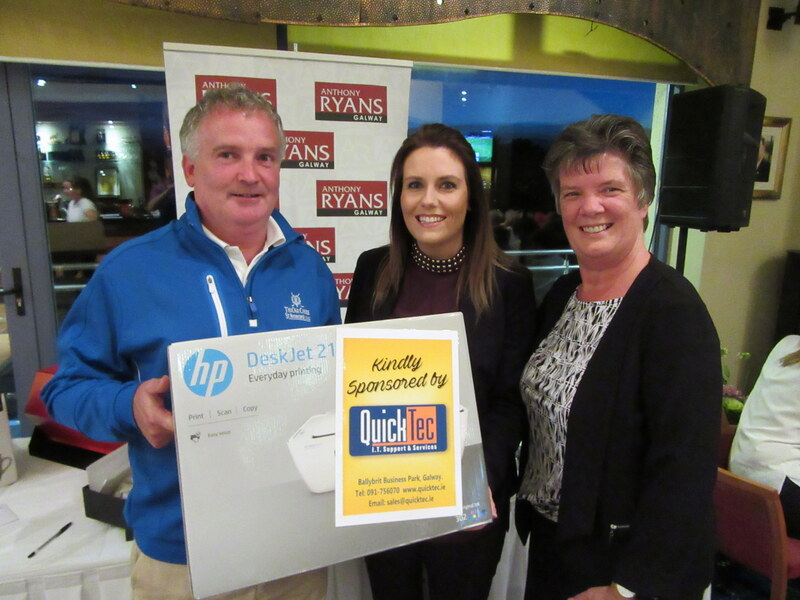 QuickTec were delighted to help by sponsoring a prize on the day. This is a significant event in their fundraising calendar which raises much needed funds for the school community and funds raised from this years event will be used towards Salerno Sports Hall.